Do you have a question about items in your closets like scrapbooks, yearbooks, letters and maybe even film or tapes? Tweet #AskanArchivist on Wednesday, October 5th and archivists from around the country will be available to assist. Have a question you want to direct to us? Tweet us at @gfbnec with the #AskanArchivist hashtag. See our flyer for more details. We want to share our photographs and oral histories with the world! We truly feel that the stories that they capture are important for all to learn, and we know that so many people would be inspired once they saw them. We sincerely wish that every person, young and old alike, could view what we have in our incredible archives. But like most institutions, we face a dilemma – how do we reach so many people, most of whom will never have the chance to visit our organization in person? How do we reach hundreds of millions of people, even if they never come through our doors? Luckily, we live in the 21st century. Our footprint has grown, thanks merely to the existence of online platforms. 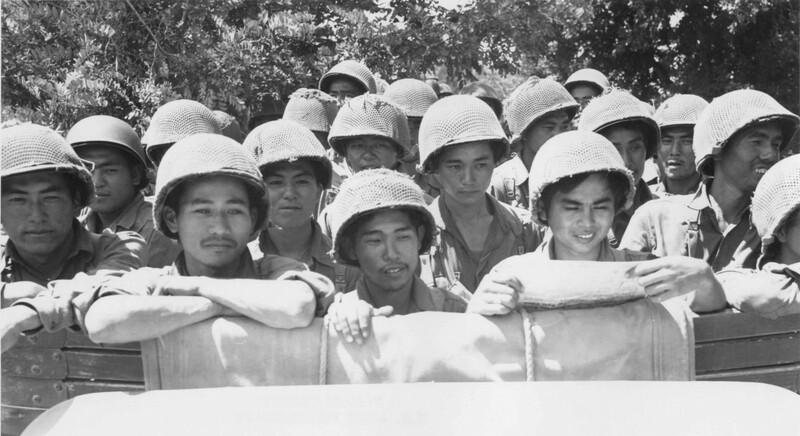 Our website has long been a source of in-depth content about our organization and the Japanese American World War II story. And – thanks in large part to energetic support from around the country – we have finally established ourselves as a popular “go to” spot on social media. Finally, our hard-working staff has started this blog. We felt that we needed a more “personal” way to share our collections, and the result is what you are reading now. I truly hope that you enjoy our bloggers and the passion that they show. And perhaps most importantly, I hope that you find this blog an ideal platform to learn more about our “gems” from the archives!